Brunch is one of our favorite meals, for the obvious reason that it goes well with tea. However, we also love it for its versatility. Brunch is probably the only time that it’s socially acceptable to serve prime rib, pasta, bagels, French toast, and dessert all together. Not to mention the usual imbibing of cocktails well before noon that is also socially acceptable at brunch. What’s not to love about that? For this particular brunch we decided to put together a few slider style breakfast sandwiches, served with fries. While the brunch sliders themselves were breakfast themed, serving them with a side of fries and a light salad brought out the lunch side of things. Together it made the perfect brunch menu for a casual get together. 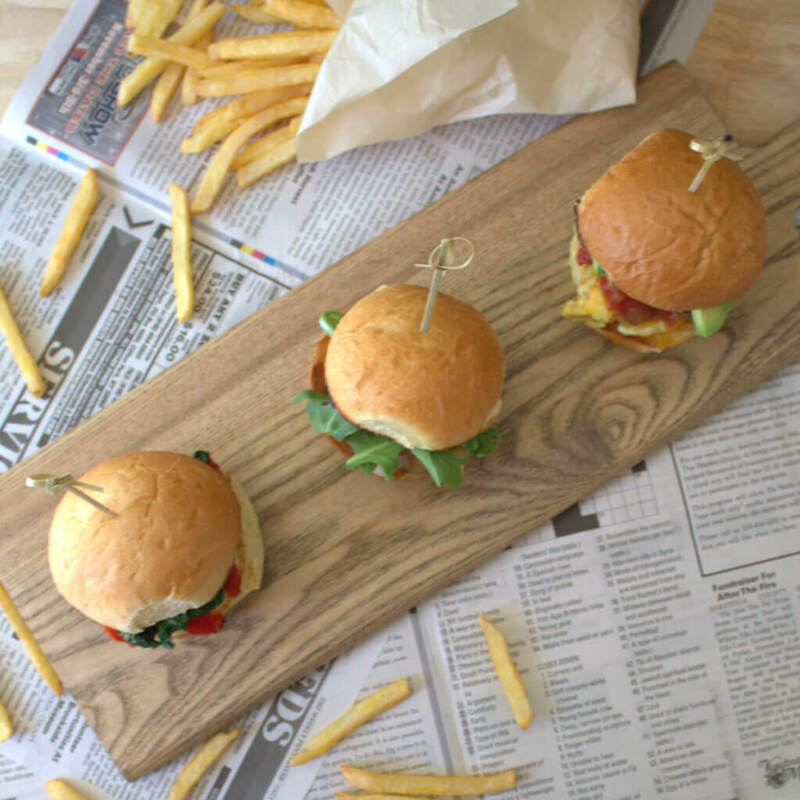 To make things easy for the guests, we put together a tray of each type of slider ahead of time. They were then placed on the table with a note on the contents and each guest could choose their own as well as load up on as much salad and French fries as they wanted. The three brunch sliders we served included a vegetarian slider, a sausage slider, and a southwestern slider. We tried to accommodate as wide a range of people with these three options, and had nary a complaint. 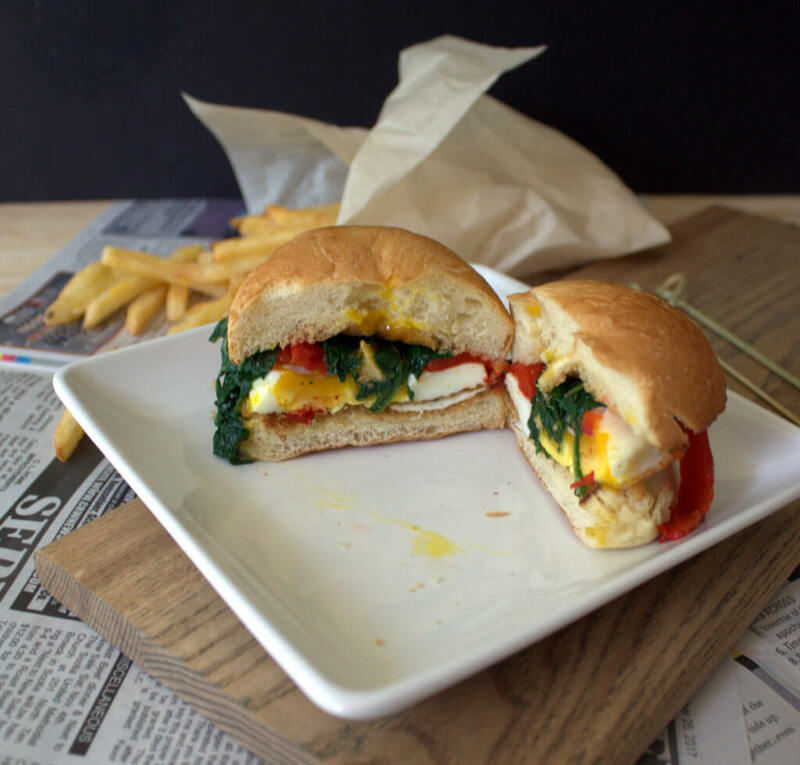 The vegetarian slider had a fried egg, roasted red peppers, wilted spinach, and pesto. For the sausage slider we used a pan-seared breakfast sausage patty with caramelized onions, provolone cheese, and fresh baby arugula. The southwest slider had a scrambled egg with cheddar cheese, chunky salsa, and a few slices of avocado. Each one was made to have a unique flavor, but not so different that they couldn’t be eaten together. Having so many different flavors of sliders meant that it was important that we kept the side dishes simple with regular old fries and a green salad. 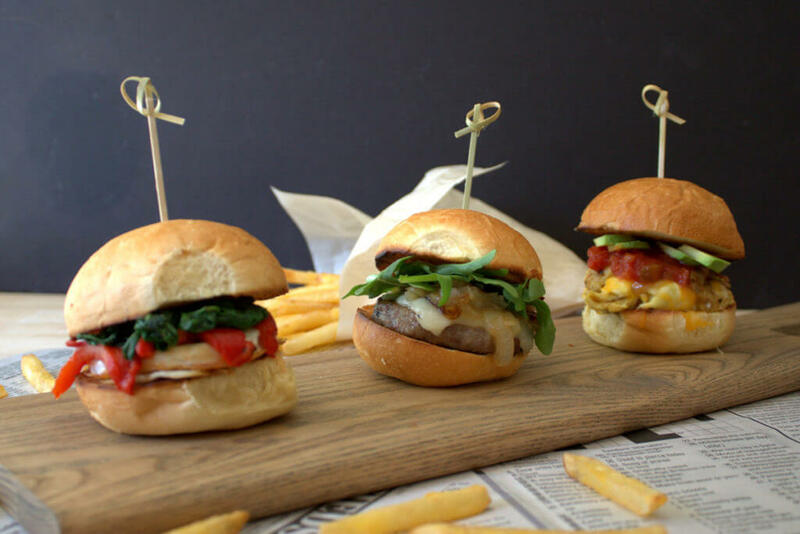 We didn’t want to take away from the awesomeness of the sliders with a competing side dish. Altogether, it was plenty of food for everyone, with lots of options. For beverages we served spiked iced tea instead of mimosas as just another way to keep it fun and different. Iced tea like the hibiscus-lime Happy Hour herbal blend goes great with sliders at lunch, so we thought it would be a good combination for our brunch theme. 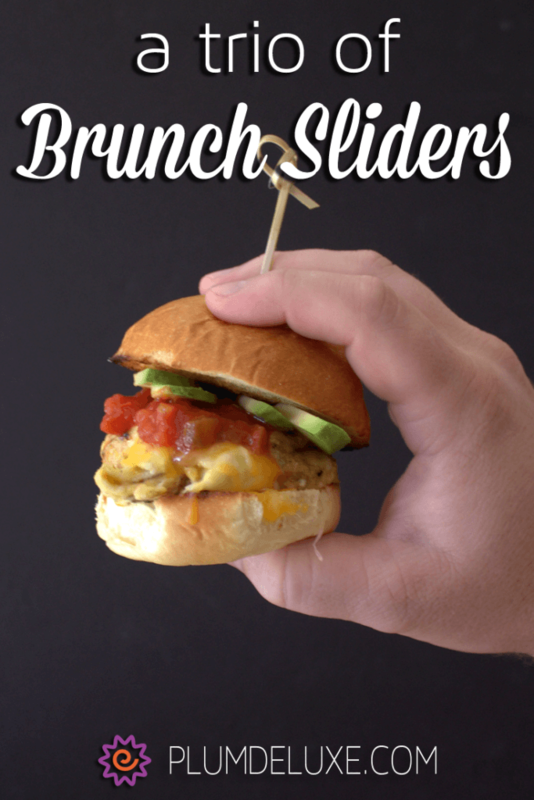 Another fun idea would be to make a brunch sliders bar and allow your guest to make their own creations. Not only does this make brunch more interactive, but it takes a large part of the prep work off the host. It’s also a great way to accommodate any dietary restrictions or allergies. All you have to do is have a selection of different toppings prepared and laid out for your guests. If you want it to be a little more breakfast-y you could serve mini bagels instead of buns like we did for our Brunch Bagel Bar. For a more lunch-oriented menu opt for more savory toppings and crusty buns.